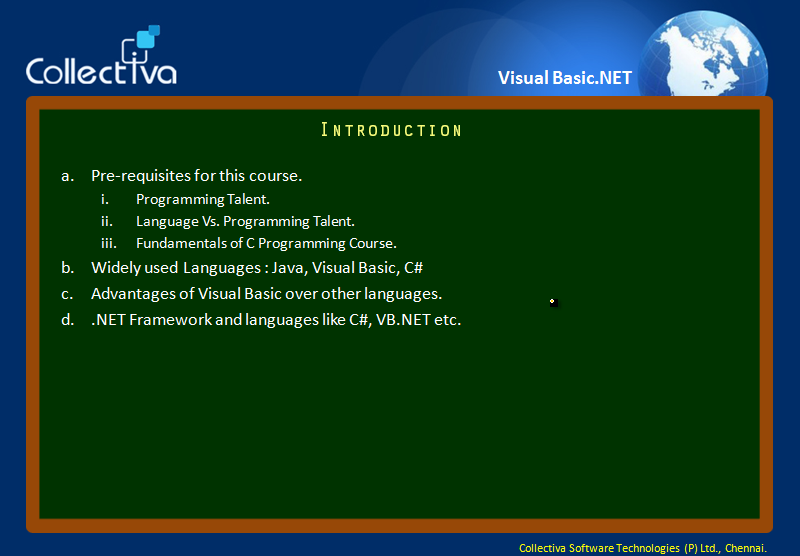 Visual Basic.NET is a language from Microsoft, that is widely used for the development of Windows Applications. It is considered to be very best language when comparing with other languages in terms of easy to understand, easy to maintain and development. Author of this course is considered to be one of the best VB.NET developer for the past 25 years. He is introducing the course in a most professional way and starts teaching from Object Oriented Thinking. 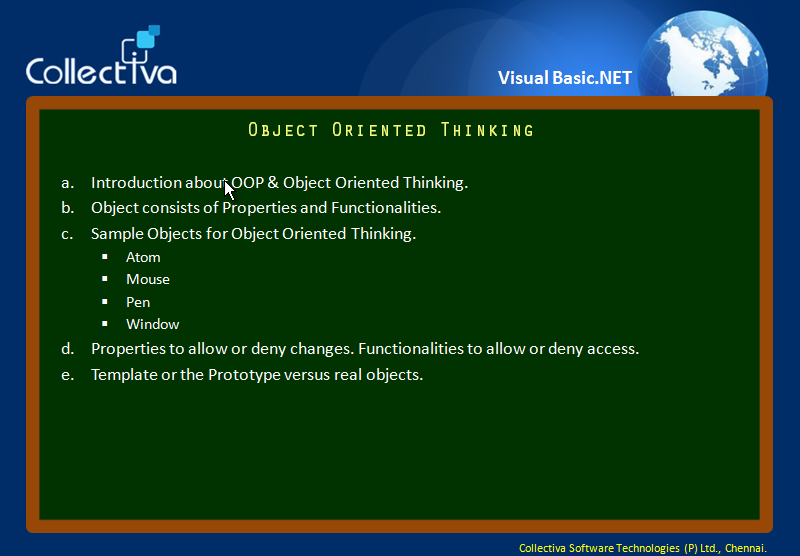 Object oriented thinking is an essential part of this course even before start using OOP concepts. This course also involves developing a project that will enable the students to get a hands on experience and start developing the projects on ones own and become an entrepreneur by making the software and selling it to the international market. This is a most recommended course for the aspiring software developers. You need not be an expert to start learning this course. But at the end of completing this course you will become an expert industrial developer. This course also teaches the basics and the advanced concepts of Crystal reports development.